The Cuyahoga Astronomical Association (CAA) will have our monthly membership meeting this coming Monday (Nov. 9) at 7:30 PM in the Rocky River Nature Center. 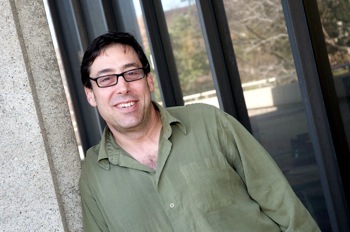 Our speaker at 7:30 will be Dr. Glenn Starkman, professor of physics and astronomy at Case Western Reserve University. His topic will be: “The Big Bang to the Milky Way: How Astronomy and Physics Collide at CERN.” Non-members are invited to attend this timely talk. As usual, the monthly general membership meeting will take place following the presentation. A Board Meeting will be held at 6:30 PM before our regular meeting. Board meetings are open to all CAA members. NOTE: This will be the final membership meeting for 2015. In December the CAA organizes a members-only holiday gathering in place of a formal meeting. This entry was posted in Uncategorized and tagged CERN, CWRU, Meeting, membership meeting, presentation. Bookmark the permalink.